Continuing with the traditional values of quality, safety and reliability, we have been painstakingly restoring our vintage buses and coaches to the highest standard since 1988. You too can now enjoy the pleasure of travelling on these very special vehicles. 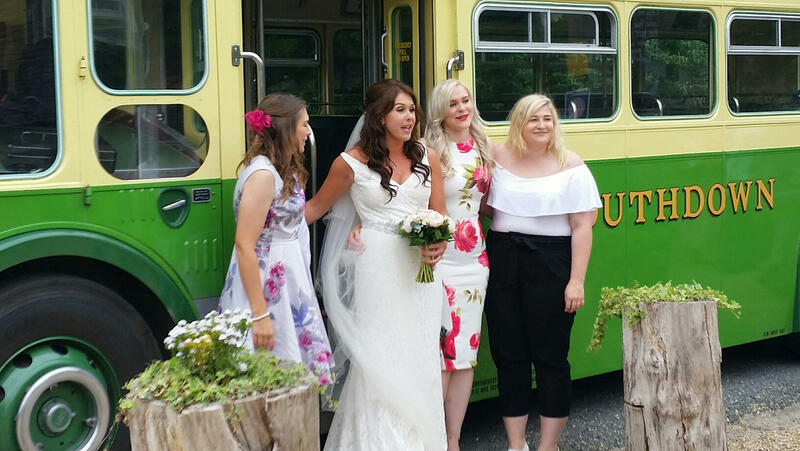 Available each season from the beginning of April to the end of October, we specialise in high quality vintage bus and coach hire for wedding & civil ceremonies, prom evenings, group outings and corporate entertainment in Sussex, Surrey & Hampshire. Imagine one of our lovely vehicles transporting you and/or your guests to your wedding venue. The glistening front of the vintage bus or coach dressed in ribbon, matched only by the beautifully restored interior, providing a fantastic backdrop to any wedding photograph. 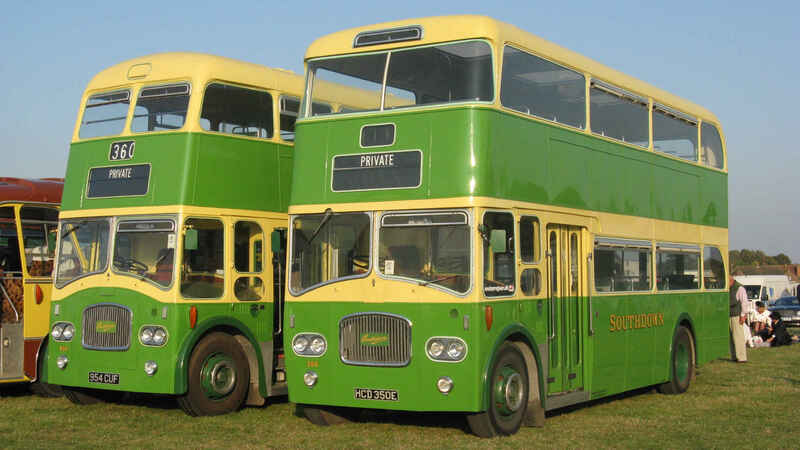 Our restoration group was formed in 1988 with the intention of saving and preserving buses and coaches from a golden age, and after successfully obtaining a licence in 1999 we now operate some of our collection for the pleasure of others. We take immense pride in what we do and always aim for the highest possible standard when presenting our buses and coaches. All our drivers are hand-picked professionals ensuring safety and service. 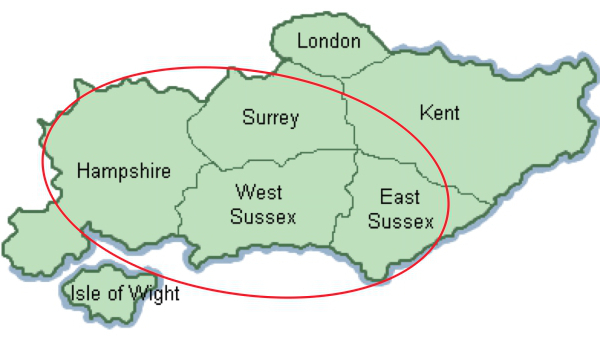 The vehicles operate from our base on the West Sussex coast near Chichester. As with most such facilities, access is restricted. Peter manages our office and is first point of contact for all enquiries. Our approach to engineering excellence results in high vehicle availability throughout the busy summer months, during which each vehicle undergoes regular and stringent safety checks. Each autumn, after the operating season has finished, heavy restoration and improvement work is undertaken in our own well equipped workshops. We take particular care to replicate original detail wherever possible and work closely with local engineering firms to source and manufacture components. The commitment to the continued operation and long term security of these vehicles is absolute and our next full restoration projects, a 1952 luxury tour coach and a 1969 dual-purpose bus/coach, are well under way. The vehicles are based in West Sussex and are usually available for hire in East and West Sussex, Surrey & Hampshire between April and October each season. Peter manages our office and is first point of contact. The vehicles can be booked well in advance and we'll be more than happy to discuss arrangements over a year ahead. Please feel free to get in touch now to check availability and receive a free, no obligation quote. 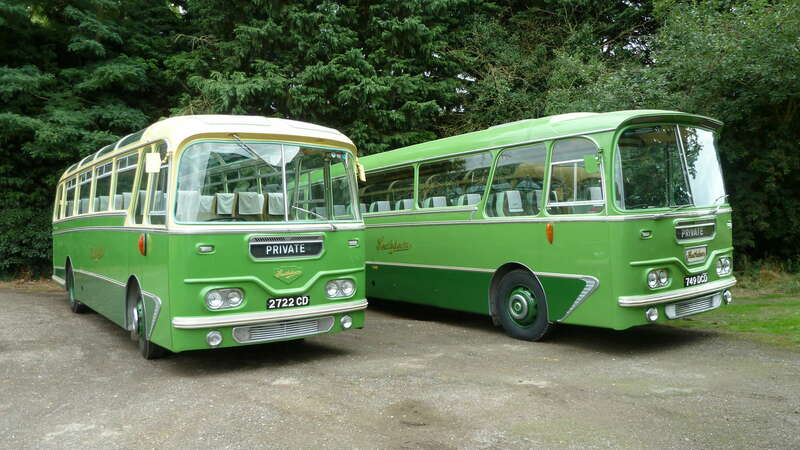 Sussex Vintage Bus Hire. 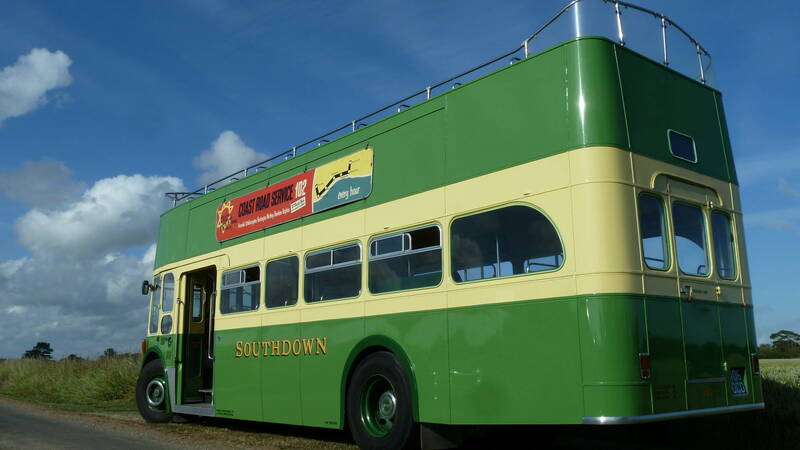 Southdown bus. South coast motor services. Heritage vehicle. 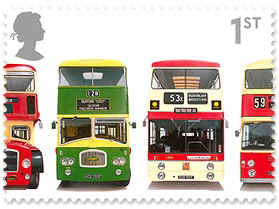 Heritage bus. Heritage coach. Open Top bus. 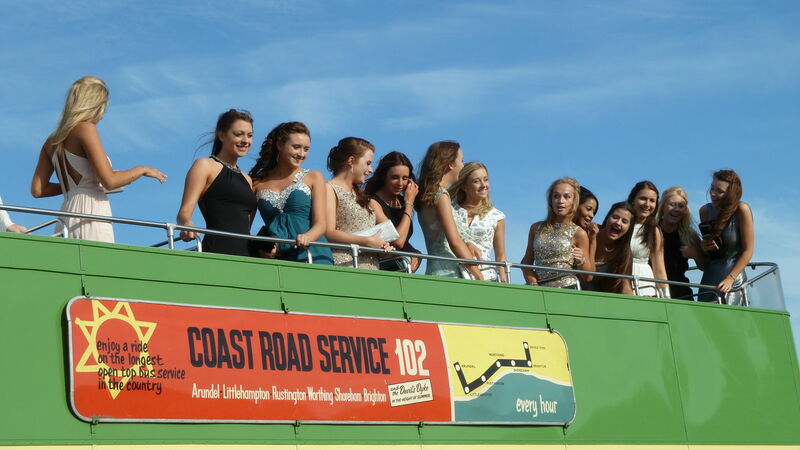 Prom bus. Vintage Wedding bus. Civil Partnership bus. 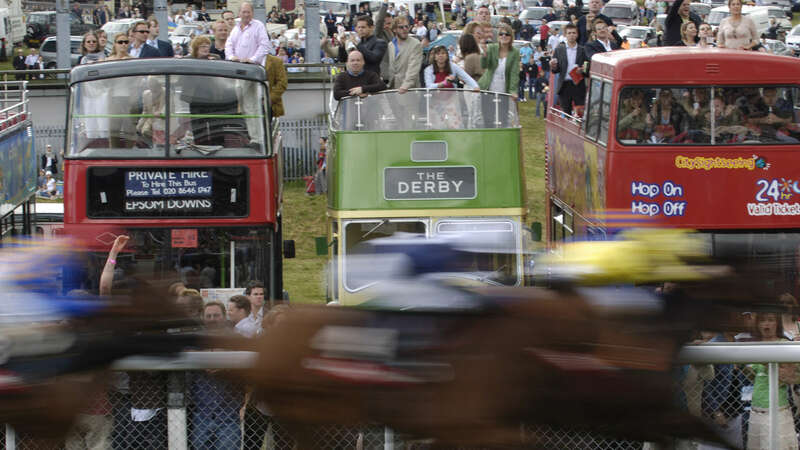 Epsom Derby. Epsom Ladies Day. Goodwood Hotel. Goodwood House. Goodwood Revival. Hilton Avisford Park. Chichester Park Hotel. Farbridge Wedding Venue. Bluebell Railway Vintage Bus Hire. Sussex. East Sussex. West Sussex. Surrey. Hampshire. Aldershot. Alresford. Alton. Amberley. Angmering. Ardingly. Arundel. Ashington. Barnham. Basingstoke. Beachy Head. Billingshurst. Bishop's Waltham. Bognor Regis. Bosham. Boxgrove. Bramber. Brighton. Burgess Hill. Burlesdon. Chailey. Chandler's Ford. Chichester. Chichester Yacht Club. Clanfield. Cosham. Cowplain. Cranleigh. Crawley. Crowborough. Dell Quay. Devil's Dyke. Ditchling. Donnington. Dorking. East Grinstead. Easebourne. Eastbourne. Eastleigh. Edenbridge. Epsom. Emsworth. Farbridge. Fareham. Farnborough. Farnham. Ferring. Findon. Fleet. Fontwell. Frimley. Funtington. Gatwick Airport. Ginger Fox. Goring. Gosport. Guildford. Hailsham. Haslemere. Hassocks. Havant. Hayling Island. Haywards Heath. Heathfield. Hedge End. Henfield. Hilsea. Hook. Horam. Horley. Horndean. Horsham. Horsted Keynes. Hove. Hunston. Hurstpierpoint. Lancing. Lee on Solent. Lewes. Lingfield. Littlehampton. Long Furlong Barn Clapham. Midhurst. Netley. Newhaven. Newick. Oxted. Pagham. Peacehaven. Petersfield. Petworth. Plumpton. Polegate. Portchester. Portslade. Portsmouth. Pangdean. Poynings. Pulborough. Pyecombe. Redhill. Reigate. Ringmer. Rogate. Rottingdean. Rowlands Castle. Saltdean. Seaford. Selsey. Sheet. Sheffield Park. Shoreham by Sea. Sidlesham. Singleton. Sompting. Southend Barns. Southampton. Southsea. Southwick. Stanmer Park. Steyning. Storrington. Tangmere. Upper Beeding. Upwaltham Barns. Warsash. Washington. Waterlooville. West Dean. West Wittering. Winchester. Woking. Worthing.